"Right now we're mature enough to accept things," says South Border main creative force Jay Durias on the possibility of working with former vocalists following their departure from the group. South Border leader Jay Durias was briefly reunited with two of his band's ex-vocalists at the premiere of TV5's new Sunday interactive and musical variety show PO5 last April 11. Luke Mejares and Vince Alaras performed with Jay for the first time since leaving the popular R&B-pop group. Vince and Luke represented two different phases of the group's history. Jay told PEP (Philippine Entertainment Portal) after the program that he was "glad" to perform alongside his old bandmates again. There was no drama even during the rehearsal and all three had a great time running through the number at the studio. "We parted ways with Vince na hindi naman in a bad light. Si Luke naman, we already patched things up before pa and matagal na 'yon. We're okay. Actually, everybody's okay," explained Jay. South Border had two vocalists during Vince's tenure with the group. The other singer at the time was Duncan Ramos, who is also no longer part of the band. The hit-making group's early lineups featured Brix Ferraris and later on Luke Mejares as frontmen. REUNION AFFAIR. Jay cited "burnout" as the main reason behind South Border's recent hiatus. The band, unfortunately, felt the effect of the global recession when the label they signed with abroad folded up. 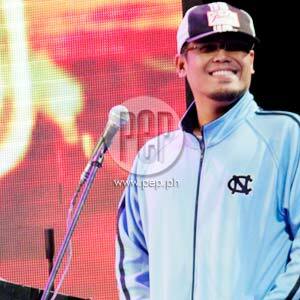 "We didn't know what to do," recalled Jay, who is currently serving as PO5's musical director. He added, "Niyaya ko silang pumunta dito kaya lang nagkaiba na ng priorities. Malaking bagay 'yong naging pressure sa amin." Jay confessed feeling slighted at first by the defection of band members who decided to pursue other things outside the group. "Pero naintindihan ko naman din," he mentioned. "Ako kasi 'yong type na go with the flow. Ayoko 'yong nag-iisip na tipong, 'Ay 'yong panahon namin...,' hindi ako ganun, e."
The singer-songwriter said he's delighted with the respective careers of his former vocalists: "I'm happy for them. Kay Duncan [who is now a regular at ASAP XV], and si Vince naman, he has his own thing going. He's working behind the scenes with a lot of producers and sometimes nag-uusap kami na there's a possibility na we might work together on a project." Jay is currently writing materials for a new album featuring South Border's current lineup. "Right now ako 'yong tumatayong vocalist though we invite guest singers minsan during live gigs to perform with us. 'Pag ako lang 'yong singer, kinakanta ko 'yong mga lumang kanta namin like 'Habang Atin Ang Gabi,' 'Rainbow,' 'Kahit Kailan,' pero on my own interpretation." A reunion gig gathering all of South Border's ex-vocalists may materialize in the immediate future. "There are talks already," spilled Jay. "Gusto nila with Brix, Luke, Vince and Duncan. Pero siguro before that, I want to do one more album with the present South Border then siguro after that we'll do a reunion concert."